Pack your bags and adventure out to one of the most mind-blowing towns in the entire country. 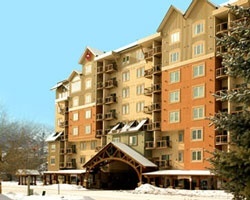 Sheraton Mountain Vista is right in the heart of Avon, a beautiful ski town with some amazing energy. SellMyTimeshareNow.com has a number of Sheraton Mountain Vista timeshare rentals and resales available for affordable prices that could save you up to 70% off what you’d be spending through the developer! What’s more majestic than the Colorado mountains? The picture-perfect landscapes combined with the raw, active atmosphere provide the perfect blend of sophistication and casualness. And the best way to experience it all is with a Sheraton Mountain Vista Avon CO timeshare. 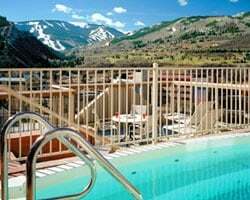 Mountain Vista rentals and resales situate you right at the base of Beaver Creek Mountain, providing you with the most convenient starting point possible for your skiing or hiking adventure. The mountain features over 1,800 acres of fresh skiable terrain to stimulate the explorer in you. Stay active in the summertime as well with a guided hike up to the 14,00 foot peak or travel around the gorgeous area in a number of different ways including mountain bike, horseback, 4X4, or hot air balloon. With a Sheraton Mountain Vista timeshare, you’re also receiving more than just a mountain retreat. Avon has all the qualities of a quaint ski town with the year-round attractions of a perfect paradise. Hit the links at some fabulous golf courses like Eagle Vail Golf Club and Beaver Creek Golf Club. Embark on a fishing excursion at the alluring waters of Eagle River or spend a relaxing day soaking up the sun with stand up paddleboarding or kayaking. After a full day out and about, settle down for some exquisite dining at some of the amazing restaurants located a snowball's throw away from Sheraton Mountain Vista! So get started today! Learn more about the Sheraton Mountain Vista resort and all of its wonderful attractions and accommodations by filling out the form on the right or calling us at 1-877-815-4227. Purchasing a unit at Sheraton Avon on the resale market affords you all of the wonderful luxuries of a proper Sheraton timeshare, while avoiding the costs of hidden fees and commissions from the developer. Buy direct from the current owner at the fair market price of a Sheraton Mountain Vista ownership on the current resale market. Determine how flexible you’re willing to be with your vacations before you decide to purchase a fixed or floating week. Fixed weeks allow you to return the same time every year, while floating weeks can be used in Silver, Gold, Gold Plus and Platinum Plus seasons to provide great flexibility in your vacation plans. Ownerships are sold for both annual and biennial usage. Sheraton is one of the most respected and well-established brands in the industry, known primarily amongst its community for its quality service and luxurious resorts. 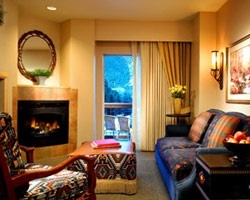 Like all Sheraton Resorts, Sheraton Mountain Vista timeshares are affiliated with Starwood Vacation Ownership. Starwood is known amongst the vacation ownership community as being associated with luxurious accommodations and amenities as well as being cost-efficient. When you purchase a Sheraton Mountain Vista, you’re buying into one of the best vacation ownership networks in the industry. When you own at a Sheraton resort or other Starwood-affiliated property, you also have the option of purchasing an additional membership to their affiliated external timeshare exchange company, Interval International. When you purchase an II membership, you’ll have access to some of the most well-established resorts in the country. Sheraton Mountain Vista has an Interval International Premier rating, which is awarded to resorts that provide superior service, quality, and modern amenities. Exchanging a week at Sheraton Mountain Vista will allow you to exchange vacation weeks with virtually any other resort in the timeshare exchange pool. Nothing beats the alpine scenery right outside your window at Sheraton Mountain Vista. Start your vacation looking out your villa window at the beautiful, scenic Bear Creek Mountain while sipping your favorite beverage from your spacious living room. But there’s also so much more to the resort to discover. Explore the campus and find some amazing amenities like the seventh floor sun deck with the outdoor whirlpool spa, perfect for relaxing your tense muscles after a long day on the slopes or the hiking trails. A sauna and a steam room are available and are the perfect compliments to help you unwind after a long day out and about. Bring the kids along with you and lace up your blades for some ice skating or rest up with some games at the Gaming Zone and TV Lounge. 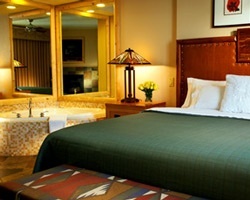 Already Own at Sheraton Mountain Vista?